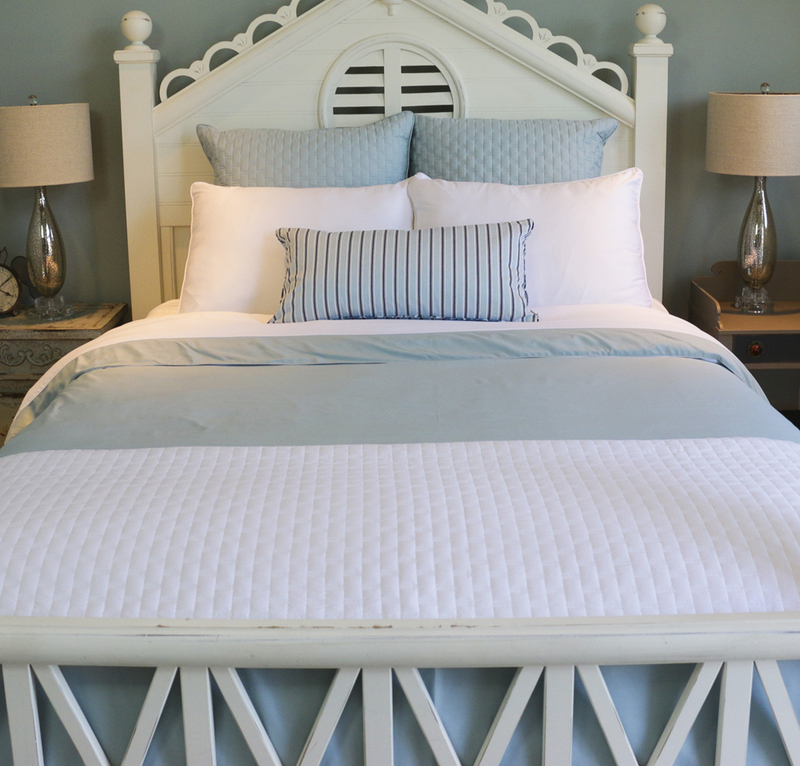 Cool-jams™ Rayon from Bamboo Reversible Duvet Cover is made from 100 percent rayon, which is intricately woven from bamboo. 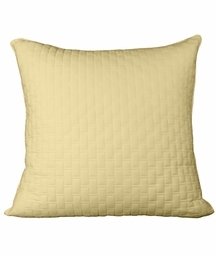 The result is a decadently soft fabric that is hypo-allergenic. 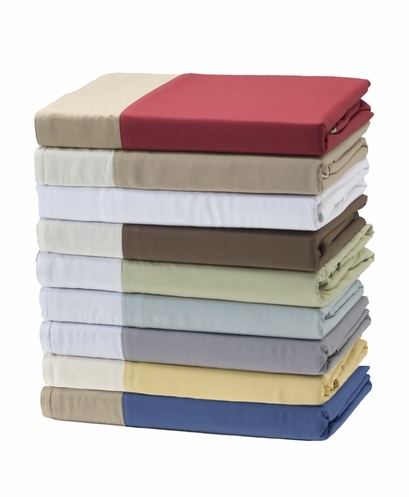 Each rayon duvet cover has a primary color as shown in the image and a secondary reversible side. 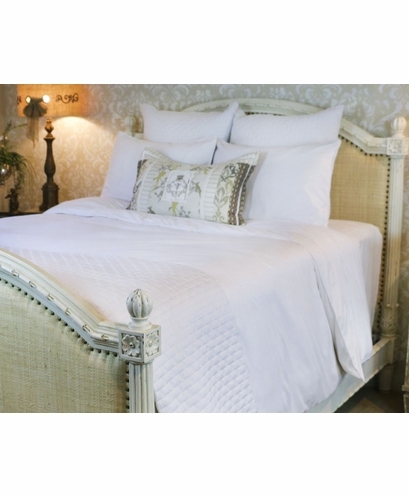 It is the perfect bedding choice for individuals who suffer from eczema, allergies and have extremely sensitive skin. 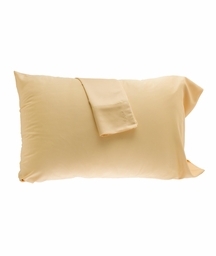 The bamboo duvet actually gets plusher with every wash unlike many other common fabrics. The bamboo used by Cool-jams™ to weave their products is not treated with chemicals during the growing process of after to prevent wrinkles. 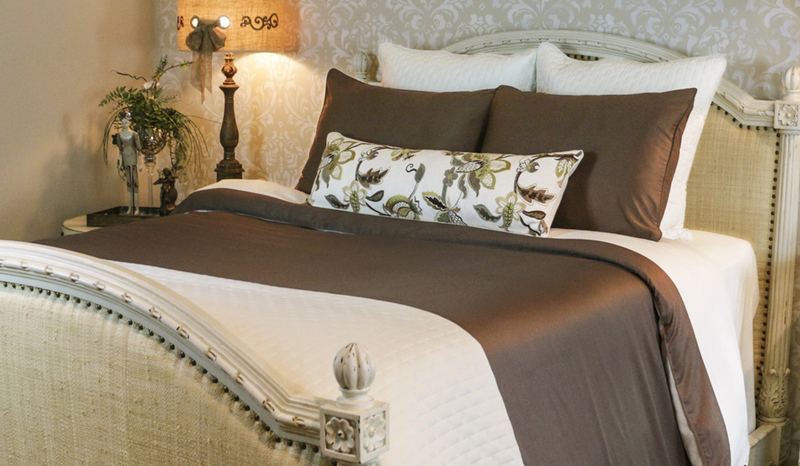 Bamboo is a wonderfully natural and eco-friendly fabric that is also odor and mildew resistant. But hold on, we haven't even gotten to the best part yet! 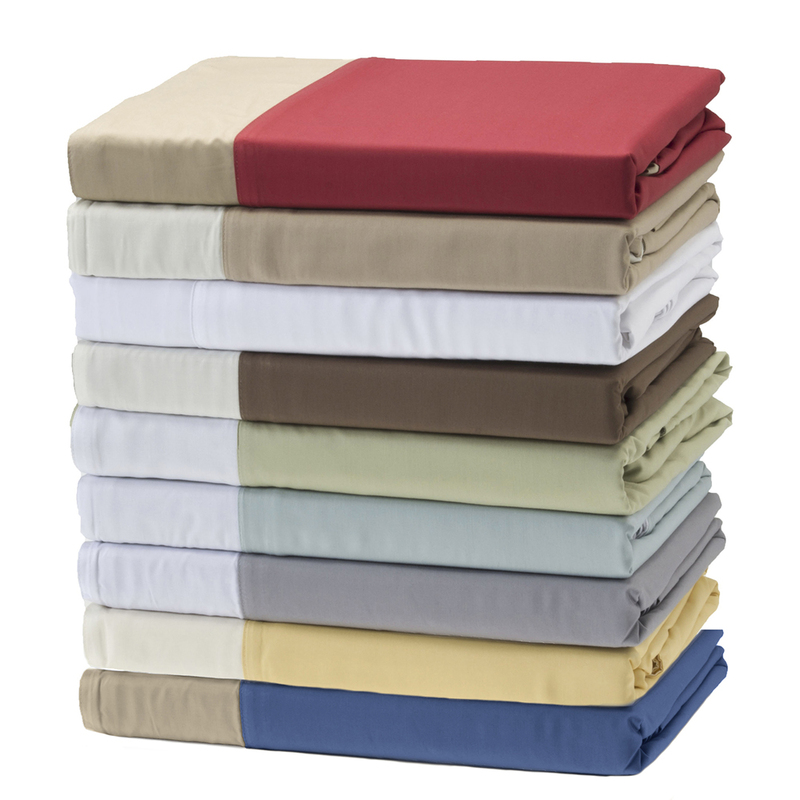 Cool-jams™ Rayon from Bamboo Duvet Cover contains unique thermal qualities that allow it to adjust to you. 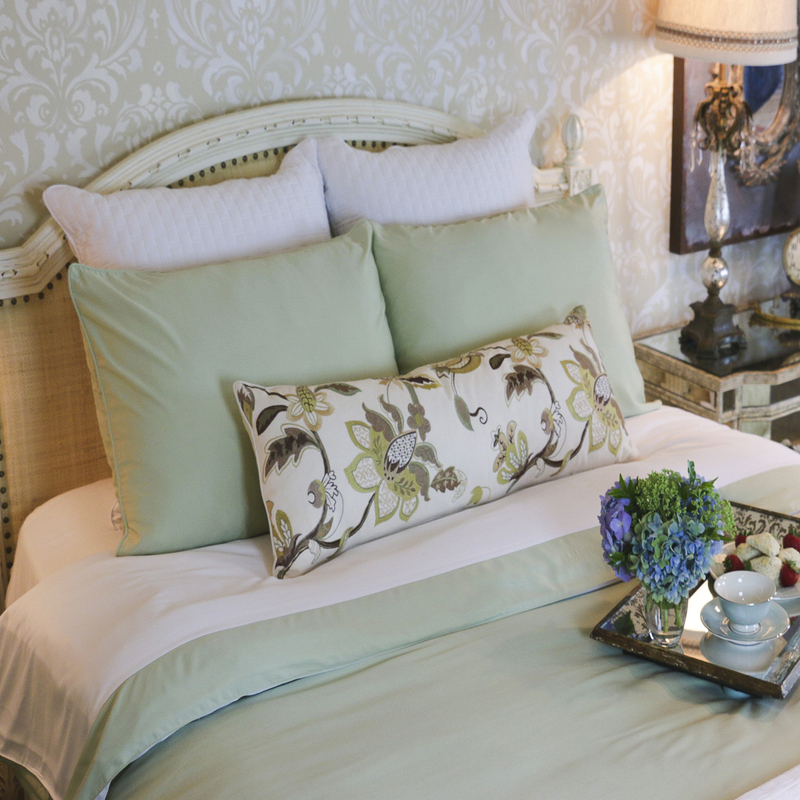 When you slip into bed, you will feel just right. 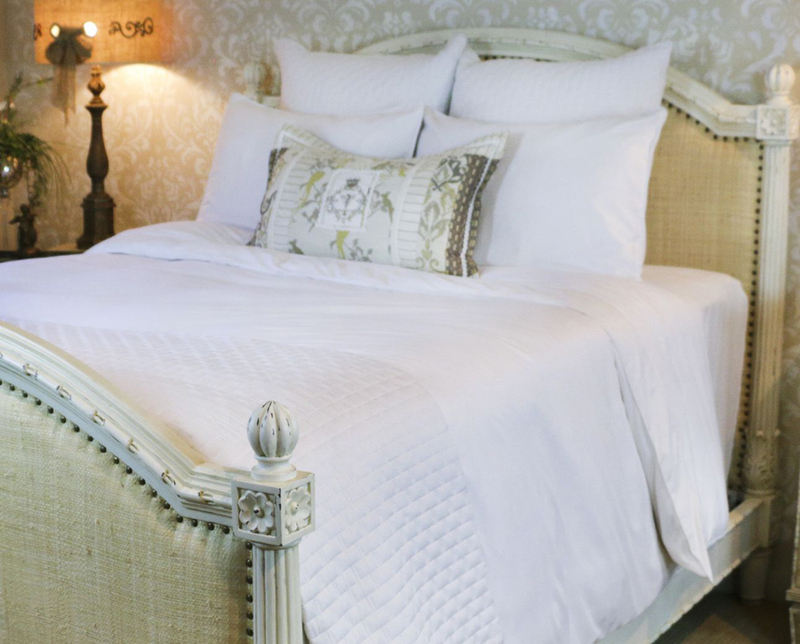 You won't feel suffocated by the bedding or too chilly. 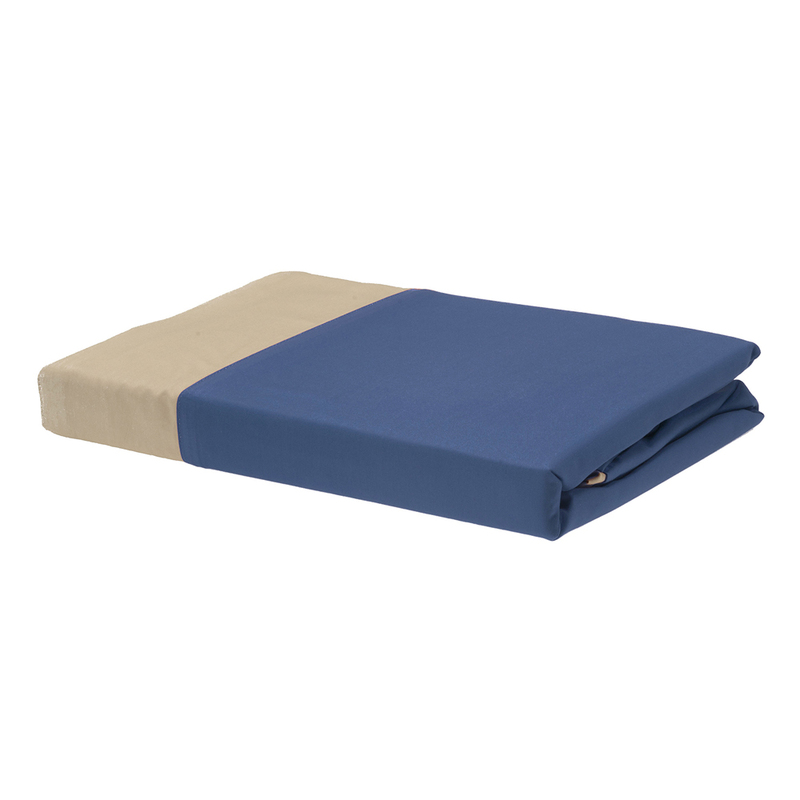 For people that deal with night sweats, a cooling bamboo duvet cover provides the perfect cover to turn the bed into the oasis it should be. 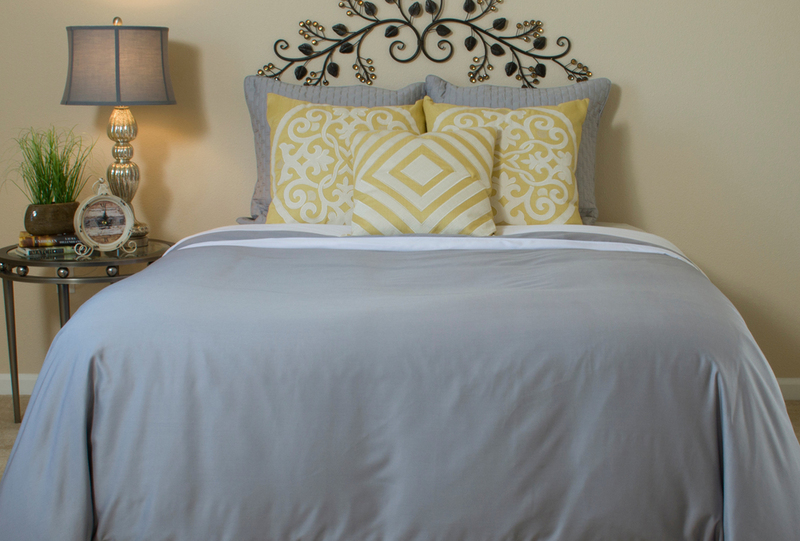 The temperature regulating duvet cover comes in twin, full, queen and king sizes. It is reversible and also includes a zipper enclosure. 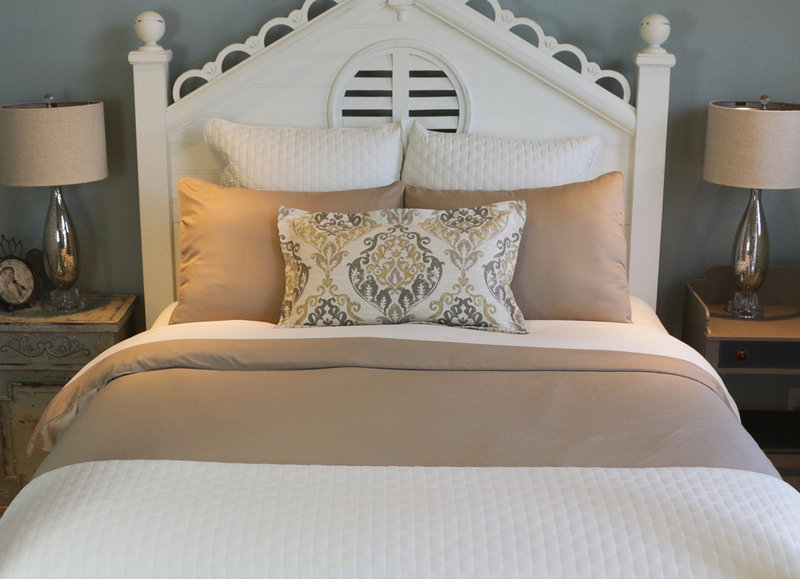 Get ready to make that fab bed with your new cooling duvet cover that both looks absolutely amazing and feels it as well. The worst part will be getting out of it in the morning. Sizes: Twin 68" x 87"; Full: 82" x 88"; Queen: 92" x 94"; King/California King: 108" x 96"
Care instructions: Wash the rayon duvet cover separately in warm water; fabric softener is not recommended. A chlorine-free stain remover may be sprayed directly on stubborn stains. Bleach is not recommended. Tumble dry on medium heat, remove immediately. Due to the shrinkage ....great that it is over sized. Lots of colors to choose from and excellent customer service. 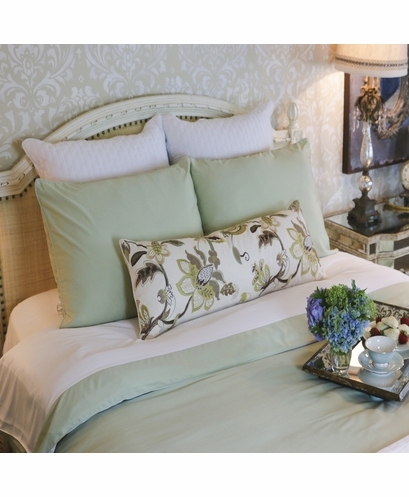 I was looking for a duvet cover that would naturally be antimicrobial and good for allergies. 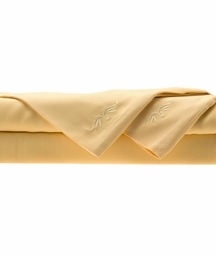 I read a lot about bamboo and this duvet cover was perfect. It is also super soft and cool to the touch. It came in a variety of colors too which made it easy to match my room decor.